All logos, images and trademarks mentioned here in belong to their respective owners. 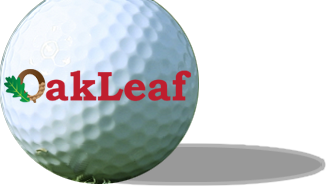 All pages on this web site are the property of Oakleaf Golf Complex. You may not otherwise copy or transmit the contents of this website either electronically or in hard copies. You may not alter the content of this website in any manner. If you are interested in using the contents of this website in any manner except as described elsewhere in this document, please contact webmaster, for information on licensing. Oakleaf Golf Complex makes every effort to ensure that information contained in these pages is accurate and up to date. However, no liability is accepted arising from reliance upon the information contained in these pages or any other information accessed via these web pages. This site may contain links to other sites. Oakleaf Golf Complex is not responsible for any content that appears on these linked sites.